Gardening is popular in Seattle, Tacoma, and other Puget Sound cities—even if the weather isn’t always sunny and perfect! Whether you have a sprawling suburban garden, a tiny raised plot, or a P-Patch in a community garden, you want to grow the best veggies and herbs that you can. 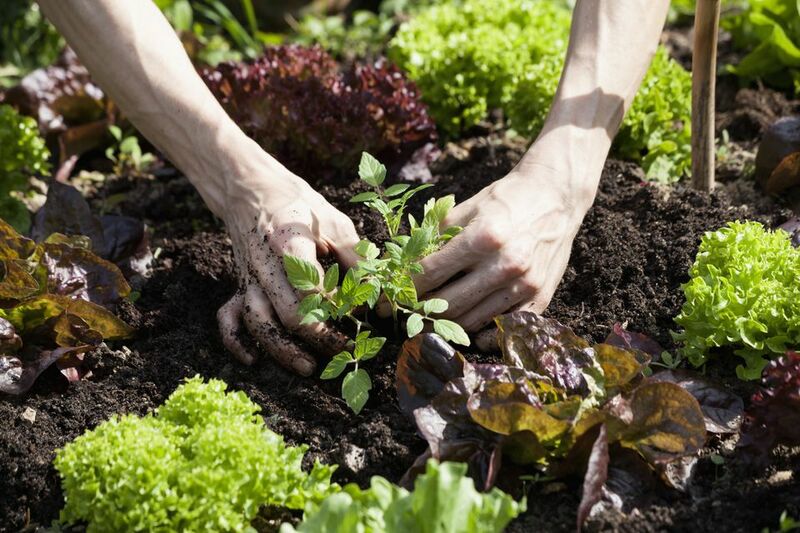 Get a head start on that by picking crops that grow well in the area. You can have great luck no matter how little or how much skill or time you have. There are some plants that are a little too successful here. This includes strawberries, blackberries, mint, and many leafy herbs. They grow marvelously in our climate with little effort. But watch out, because they’ll spread too far and grow too big if you don’t control them. Gardening is always more fun when it fits within your personal time and energy levels. So focus on what’s quick and easy, and you’ll get more enjoyment out of this tasty hobby. A few tips and tricks can help you get started. Here are a few popular vegetables that grow well in Western Washington. Potatoes are easy to grow and cook with. Buy seed potatoes in late spring. Cut each potato into a few pieces each, making sure each has 2 to 3 eyes on it. Plant the pieces about 1 to 2 feet apart. It helps to plant them in raised rows or hills, but you don’t have to. Then all you have to do is water and wait. Most of the time, the rain will do the watering for you. When the plants start to wilt and fall over, usually in August, it’s time to remove the plants and dig up the potatoes. That’s it! They also store for a long time (several months to a year, depending on variety and storage technique) so you’ll be having tasty potato dishes all winter. Asparagus takes patience, but it can be worth it. Seattle weather grows amazing asparagus. And the taste of fresh asparagus is entirely different than that of store-bought. This is not a crop to plant if you are borrowing or renting garden space or if you’ll be at your location for less than a few years. Once you plant it, it takes 2 to 3 years to start producing, and it grows for 15 to 30 years. Plant the root ball in spring; keep watering it like the rest of the garden. The first year you get spears popping up, snap them off as they come up and cook them within 36 hours. Eat these tender shoots until about mid-June, then let them grow into ferns. Let the asparagus grow all summer. This is how the root gathers enough food to last through the winter. Cut the ferns off in the fall, and the process begins again the next spring. Many types of greens are prolific in Washington. Some are just for salads, others can be eaten raw or cooked. Most need some shade, so you can plant them behind other larger plants, or if you are using A-frame trellises, you can even plant some of them in the middle under the trellis. Most of them enjoy cool weather, so you can get two rounds per year. Plant once in spring for summer eating, and again in late summer for fall. In Western Washington, you can also grow greens in the winter if you use a cold frame. If you want a consistent long-term crop, plant a few plants at a time, each group a couple of weeks apart. When the greens start to bolt, they’re still edible but they are a bit tougher and some get bitter. Some good salad greens are lettuce, arugula, endive, escarole, claytonia, and mesclun (a wild lettuce mix). Greens that can be eaten raw or cooked are Swiss chard and kale, and of course spinach. Summer squashes, including zucchini and yellow crookneck, tend to grow well in any climate. Seattle’s is no exception. Plant the seeds (or start indoors and transplant) in late spring, and that’s pretty much it. Once they start ripening, pick them often. They’re more tender and tasty when smaller. They can get as big as your arm, but they are less flavorful and tend to be stringy. You may get way more than you can eat. Fortunately, they’re really versatile so you can incorporate them into many meals and recipes, and they freeze well when grated or chopped. It may help to know what doesn’t do as well here. Many popular garden plants in sunnier climates can still be grown in Seattle, but they may need extra care or equipment, depending on how sunny a particular summer is. For others that don’t take naturally to Washington’s weather, hybrids and varieties have been created that can do okay in our sometimes shady climate. Plants that can face a struggle in a cloudy summer include: Regular tomatoes (cherry tomatoes seem to do better); eggplant; peppers; broccoli (it grows slowly, then often bolts quickly); leeks; cucumbers (they grow great, if trellised, and if you can get them started, but the seedlings often fail). Green onions, corn, cilantro, and dill can be hit or miss, depending on each year. If you don't have a patch of land to use, container gardening can also be a great way to go, especially if you want to grow smaller plants like herbs, bush beans, and some greens.